Until I read Jessi Klein’s You’ll Grow Out of It, I had assumed that Oprah Winfrey took showers just like the rest of us. I could not possibly have been more wrong. Klein’s slight (major) Oprah obsession opened my eyes to a lesser-known resume-builder of the renowned talk show host, philanthropist, producer, actor, director, and author—the woman is a bathing artist. Yep, that’s right: Oprah is obsessed with the art of taking baths. James Corden and Oprah interviewing excitedly. Now, from the comforts of her forty-two-acre California estate, appropriately named “The Promised Land,” the billionaire takes at least one bath a day in her custom-made tub, constructed from marble and onyx, which was hand-carved to perfectly hug her body. And as if that sentence weren’t unfair enough—this bathtub sent from heaven has an ocean view. 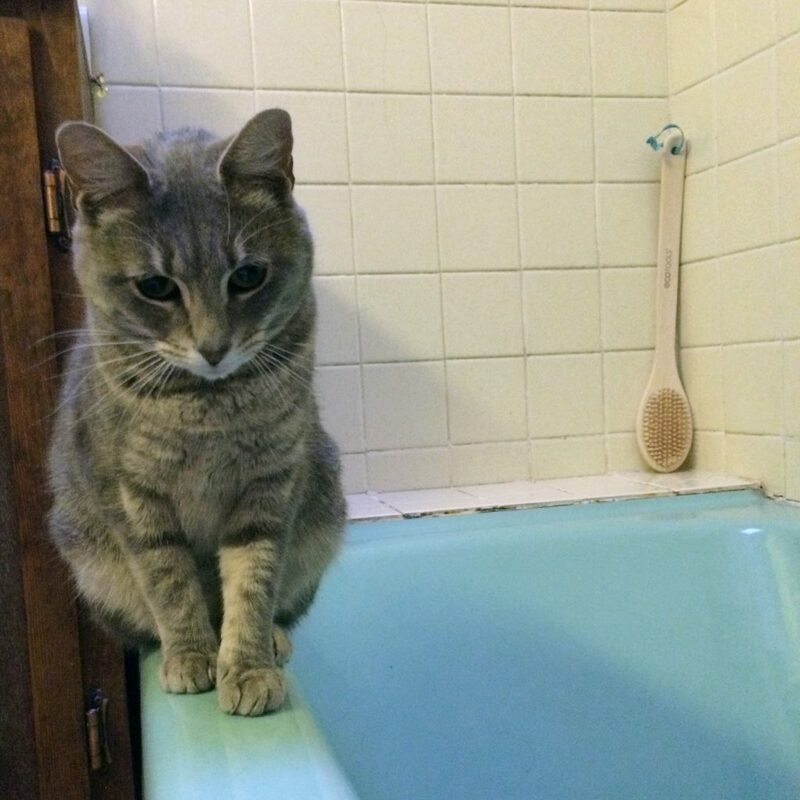 My roommate’s cat perches on the edge of our mint green bathtub. Now, I can’t speak for everyone, but I know for myself that my tub is… uh… a bit lacking in comparison to Oprah’s current set-up. To paint you a portrait, the bathtub I call home is a shade of mint green that has yet to be found in nature but is closest in color to the inside of an unripe avocado. I feel that most renters, first-time home buyers, and owners of fixer-uppers can probably relate better to my own bathroom nightmare than Oprah’s superior tub. That doesn’t mean that you can’t find ways to make your bathroom into an ocean view-inspired paradise. I’ve learned to deal with my bathroom’s shortcomings and would like to pass down some of the tricks that I’ve incorporated into my daily routine to help cope with not being Oprah. These SWISCO Switches will make you feel just as pampered as Oprah, for only a sliver of the price tag. And if you believe in bathing as much as Winfrey, “your day will undoubtedly be more focused, [and] more centered,” she says. A bath bomb rests by a window sill. The Oprah Way: In an interview with Harper’s Bazaar in 2012, Oprah revealed that she’s all about setting the mood with bath time products: “I love creating bathing experiences—bath gels, bubbles, crystals, salts, lavender milks.” How great for Oprah! But, as I’ve said, my tub is straight-up old and has probably hugged a lot of bodies before mine, so I almost always go the shower route to assure the least amount of skin-on-tub contact. If you’re like me, or you just want to squeeze a little self-care into your shower routine, try the SWISCO Switch to shower bombs. Just like the more popular bath bombs, shower bombs transform your bathroom into a scented escape. My favorite are Level Naturals Organic Menthol and Eucalyptus. These sinus-opening bombs immediately create a steamy and soothing spa-like environment for only a few dollars, with hardly any tub-touching! The Oprah Way: The Selma star revealed in an interview promoting the film with co-star Carmen Ejogo that she has a bit of a “thing” for essential oils. “I was in Provence last summer, antiquing, and found this pure oil that they harvest [from] the lavender fields. I have a gallon of it that I transfer to different bottles by my bathtub.” Now, most common folk don’t have enough vacation days to antique around France collecting essentials oils, let alone the bathroom space to store a gallon of pure lavender extract. Still, this doesn’t mean that you can’t bathe as if you do. Essential flower oils in amber bottles. The SWISCO Switch for this is as simple as investing in four half-ounce bottles of essential oils and getting a little creative. Try Nature’s Answer’s organic lavender, cedarwood, geranium, and frankincense. 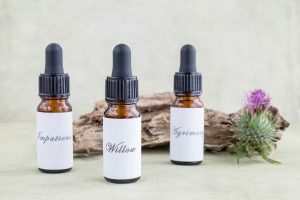 All four oils have relaxing properties that reduce stress, fatigue, anxiety, inflammation, skin irritations and pain while improving focus, uplifting mood, and promoting overall wellness. Just add two to four drops to your filled tub in any combination for instant Oprah-inspired aromatherapy. The Oprah Way: In Oprah’s beginning tub days, she used Ivory liquid soap and Joy dishwashing detergent as her all-in-one source for bubbles and a clean tub. Over the years she’s certainly traded up to some fancier foam options. Still, she admits that she does not bathe without some sort of suds. She’s so adamant about bubbles that she included a $50 twenty-four ounce bottle of soap on her 2017 Oprah’s Favorite Things list. Obviously Oprah isn’t crazy for demanding bubbles in her bath—since any sane person would and should feel like they are steaming in a tub of their own soup if there are no bubbles present. But she is a little off the mark from her roots if she thinks $50 bubbles are reasonable. Oprah lounging in her tub. The SWISCO Switch? Try Baby Bum’s Bubble Bath. This ultra-sudsy, earth and sea-inspired formula is gentle enough for babies and bubbly enough for O! 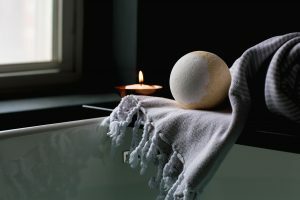 Even when it seems that you don’t have the means or the resources to major in tubs quite like Oprah, it’s important to remember that the true art of taking a bath lies in the action of allowing yourself to self-indulge, be present, and decompress in a peaceful sanctuary—no matter what sort of bathroom you’re working with. So, the next time I’m cursing my unfortunate green tub, I’ll take solace in knowing that Oprah has also been brought to tears by a green bathtub, and she, too, got over it eventually. 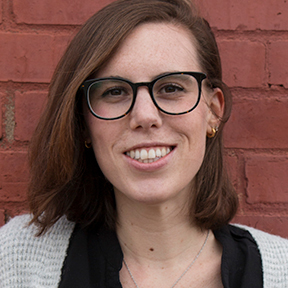 Kathleen comes from the world of natural health E-commerce writing. Some of her current goals include writing a cookbook and watching a baseball game at every MLB stadium (currently at ten out of thirty). She and her dog, Mooch, walk 5 miles a day.